Precision Audio Delivers Precision Installations. One of our guiding principles at Precision Audio in Bainbridge and Thomasville is to execute only the highest quality of installation work on your vehicle. We have trained and skilled technicians who bring a wide range of experience to our clientele in the areas of electronics, window tint, truck accessories, suspension and custom wheels/tires. This, along with our client-friendly policies like a full one year warranty on all of our labor, shows our valued customers just how seriously we take the work we do. After all, it’s not just your vehicle; it’s an investment in your lifestyle. Our installation technicians have over 20 years of collective experience. 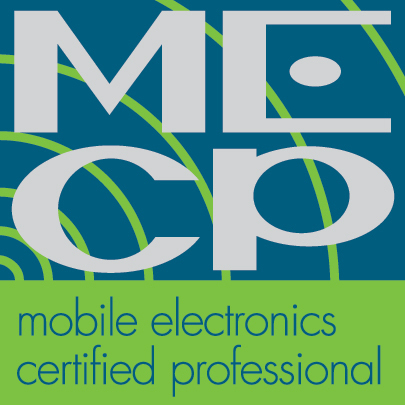 Many of our technicians are certified through the Mobile Electronics Certified Professional (MECP) program. In addition to our valued installation technicians, all of our product specialists have over 10 years of experience individually so that when discussing your specific vehicle and installation details, they have the requisite knowledge to provide accurate information and the details of a successful outcome. At Precision Audio, we have one of the most experienced staff of professionals in the Southeast. We think you’ll appreciate that kind of professionalism when we’re performing installation services on your vehicle. Our technicians’ skill and knowledge come largely from our extensive experience doing successful vehicle installations for many years. One of the most useful skills our installation team possesses is troubleshooting when there’s an issue. We’re are especially skilled at all types of troubleshooting related to vehicle or marine electrical systems, something which not all mechanics are able to claim. Where in-vehicle technology is often dependent on the correct approach during installation, we ensure your vehicle is trouble free from any of the electrical ‘gremlins’ that less-skilled technicians often have to scratch their head and chase. Our technicians have all of the latest vehicle electrical system test equipment so they are able to quickly and accurately diagnose any issues for an efficient repair and resolution. At Precision Audio, we’re not just installing electronics. We also professionally install lift kits, lowering kits, air suspension, tonneau covers, grill guards, tool boxes, step bars, running boards, as well as wheels and tires. We have a road force balancer that accommodates wheels/tires from 15”-30”, as well as a no-scratch tire mounting machine. Our shop is outfitted with the requisite tooling necessary to handle all of the suspension, accessory and wheel installations with the same one year labor guarantee our customers have come to appreciate. Our professional installation services also include window tinting done in a completely enclosed and separated work bay. This minimizes any airborne contaminants that could get under the window tint as it’s being applied. Our precision accuracy is assisted by a computerized cutter/plotter to ensure we have an exact fit to your vehicle windows. Along with our one year labor guarantee, some of our window tint products offer a lifetime warranty on the film. Visit Precision Audio today or call us at (229) 246-2111 (Bainbridge) or (229) 233-5001 (Thomasville) to schedule a complimentary consultation with one of our friendly and knowledgeable staff members so we can learn about your vehicle and specific needs. Whether it’s about audio, video, smartphone integration, truck accessories, wheels & tires, window tinting or any other installation service we offer, we’re committed to ensure your installation is done right the first time.